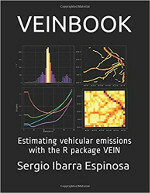 Vehicular Emissions INventory (VEIN) model. Criteria (g/km): “CO”, “NOx”, “HC”, “PM”, “CH4”, “NMHC”, “CO2”, “SO2”, “Pb”, “FC” (Fuel Consumption),“NO”, “NO2”. Dioxins and Furans (g/km): “PCDD”, “PCDF”, “PCB”. Metals (g/km): “As”, “Cd”, “Cr”, “Cu”, “Hg”, “Ni”, “Pb”, “Se”, “Zn”. ALKANES: “ethane”, “propane”, “butane”, “isobutane”, “pentane”, “isopentane”, “hexane”, “heptane”, “octane”, “2-methylhexane”, “nonane”, “2-methylheptane”, “3-methylhexane”, “decane”, “3-methylheptane”, “alkanes_C10_C12”, “alkanes_C13”. ALKENES: “ethylene”, “propylene”, “propadiene”, “1-butene”, “isobutene”, “2-butene”, “1,3-butadiene”, “1-pentene”, “2-pentene”, “1-hexene”, “dimethylhexene”. ALDEHYDES: “formaldehyde”, “acetaldehyde”, “acrolein”, “benzaldehyde”, “crotonaldehyde”, “methacrolein”, “butyraldehyde”, “isobutanaldehyde”, “propionaldehyde”, “hexanal”, “i_valeraldehyde”, “valeraldehyde”, “o_tolualdehyde”, “m_tolualdehyde”, “p_tolualdehyde”. AROMATICS: “toluene”, “ethylbenzene”, “m,p-xylene”, “o-xylene”, “1,2,3-trimethylbenzene”, “1,2,4-trimethylbenzene”, “1,3,5-trimethylbenzene”, “styrene”, “benzene”, “C9”, “C10”, “C13”. “N_urban”, “N_rural”, “N_highway”, “N_50nm_urban”, “N_50_100nm_rural”, “N_100_1000nm_highway”. 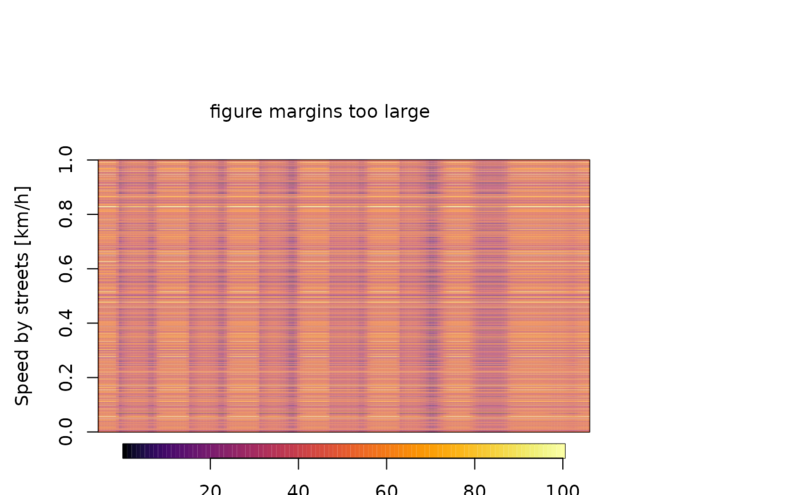 “CO”, “NOx”, “HC”, “PM10”, “PM2.5”. They depend on humidity, temperature, altitude and other parameters. 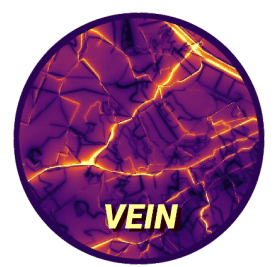 vein imports functions from spatial packages listed below. In order to install these packages, firstly the user must install the requirements mentioned here. Re-design of ef_ldv_speed and ef_hdv_speed. Adds argument speed into ef_ldv_speed in order to return data.frames insted of list of functions. For instance, speed = Speed(0:120). Also, it euro can be with length bigger than one, and also can be data.frames. This is useful, when you have regions with different emission standards. Add Active Surface (cm2/km): “AS_urban”, “AS_rural”, “AS_highway”. 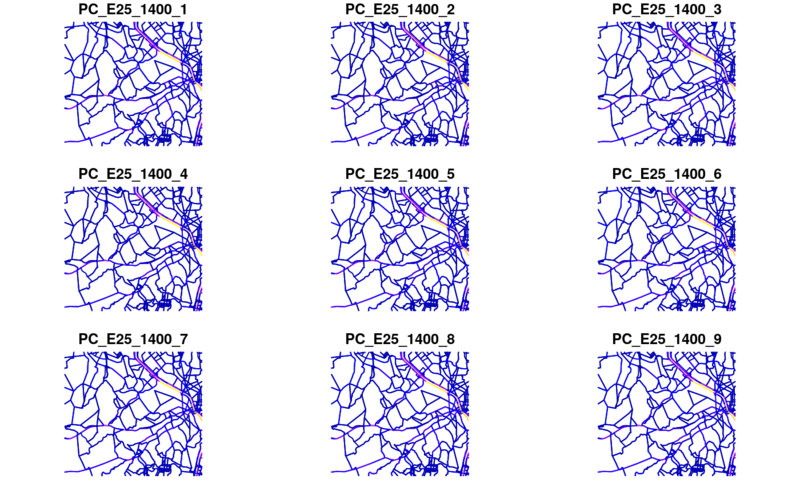 Add number of particles (N/km): “N_urban”, “N_rural”, “N_highway”, “N_50nm_urban”, “N_50_100nm_rural”, “N_100_1000nm_highway”. split_emis Split street emissions based on a grid or polygon. For instance, let’s say that you need street emissiosn at 10 m. You could split your street emissions with this. Fix some EF metals in ef_ldv_speed. Adds pro_month in emis_hot_td and emis_cold_td, to account for monthly variation. Add argumnent namerows in age*functions to change row.names. Add argument fcorr to account for the effect of fuel composition by euro standard. This result in a factor by euro standard. 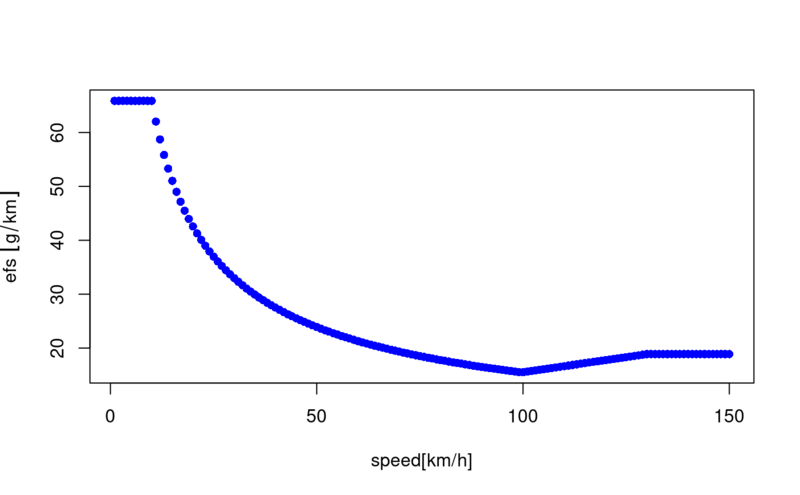 Adds age with survival function of Gompertz, Weibull, logistic. This function aims to replace age_ldv, age_moto and age_hdv. Update ef_cetesb for emission factors 2017. CETESB updated (and possibly recalcualted) most of PC with gasoline emission factors. Enhance inventory. The idea is to configurate a whole emissions inventory for emission factors of CETESB, COPERT. Adds ef_china, to include chinese emission factors. Adds or connect traffic from gtfs services. Estimation of evaporative emissions with Copert Tier 3. Group species by chemical mechanism. post-processing of emissions in maps and databases." This implies the use of several functions in a coordinates ans structured way, therefore it is added the new function inventory which creates a structured set of directories and scripts to run VEIN. Please, open the file ‘main.R’ and run each line to understand VEIN. Remember, if you have doubts with any function, just type ‘?’ with the name of the function. For intance: ?inventory. Please, read the examples in the documentation of each function and run the demo. If you want to know the vehicles per street and by age of use, just add the net. Age functions now returns ‘sf’ objects if the net argument is present. When the argument by = “veh” the emissions are aggregated by age and hour. When the argument by = “streets_wide”, aggregated the emissions by street. In this cae, if you add the argument net with the respective streets, it returns an spatial net with the hourly emissions. when spobj is “character”, it is a path to wrfinput file and then runs eixport::wrf_grid to create a grid based on a wrf_input file. Create a grid using make_grid.The spobj is the spatial net. 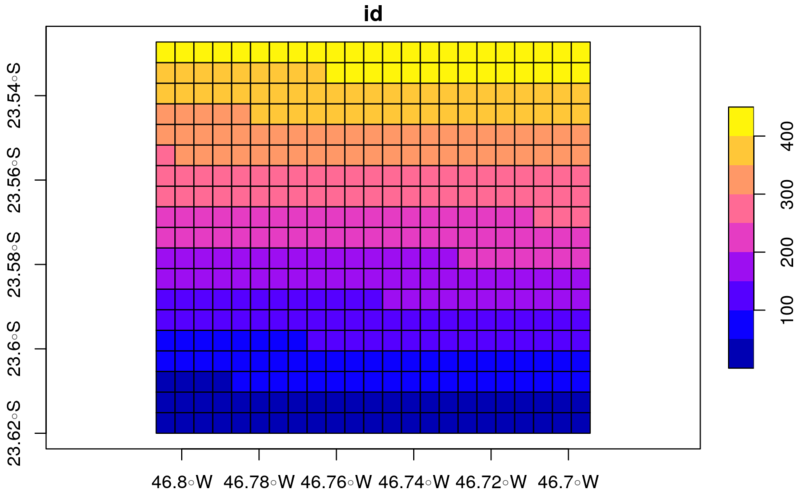 The size of the grid has the size of the net. You have to specify the grid spacing. Create a grid using a path to wrfinput file instead a net. The grid will have the size of the wrf_input. You don’t have to specify the grid spacing. At this step, you can feed you grid with emissions from other sources! Run emis_grid to grid your emissions. Create a wrfchem input file [eixport::wrf_create](https://atmoschem.github.io/eixport/reference/wrf_create.html. Put the GriddedEmissionsArray into the wrf chem input file using eixport::wrf_put. Create a grid using make_grid and your net. Run emis_wrf to create a data.frame the specifications for AS4WRF.ncl. Export the output of emis_wrf to a text file without header. Recall that AS4WRF requires all the lumped species. Contact the developer of AS4WRF Angel Vara alvv1986@gmail.com to get a copy and run AS4WRF.ncl. Ibarra-Espinosa, S., Ynoue, R., O’Sullivan, S., Pebesma, E., Andrade, M. D. F., and Osses, M.: VEIN v0.2.2: an R package for bottom-up vehicular emissions inventories, Geosci. Model Dev., 11, 2209-2229, https://doi.org/10.5194/gmd-11-2209-2018, 2018. You can ask on Eart Science Stackoverflow,. Check the project on ResearchGate. Check the group on GoogleGroups Group. If you have any suggestions just let me know to sergio.ibarra@usp.br. Please, read this guide. Contributions of all sorts are welcome, issues and pull requests are the preferred ways of sharing them. When contributing pull requests, please follow the Google’s R Style Guide. This project is released with a Contributor Code of Conduct. By participating in this project you agree to abide by its terms.